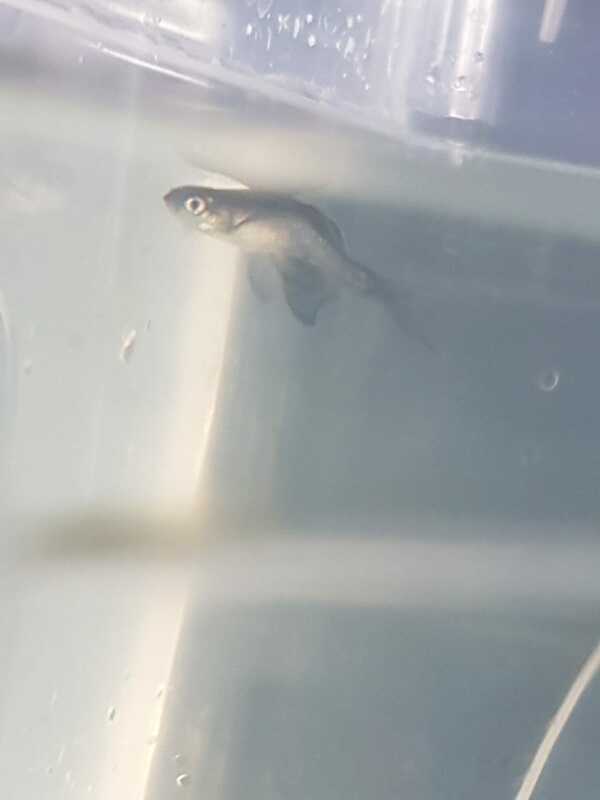 So I have 9 danios in a 10G tank, 8 of them are fine, one has a very bent back and struggles swimming, and is very significantly skinnier than the others, google appears to be tuberclorosis? Fish TB is unlikely in this case as fish with this disease usually also have sores/lesions. I would suspect that the bent spine is a congenital deformity and as it impacts on his swimming ability, probably means he struggles to get his share of food, which is why he is skinny. There's not much you can do, so it may be best to put him to sleep. You do need to deal with the ammonia in the tank, and really, a 10 gallon is too small for danios. They are fast swimming fish who need a lot of space so a 3ft long tank is recommended as the minimum for them.